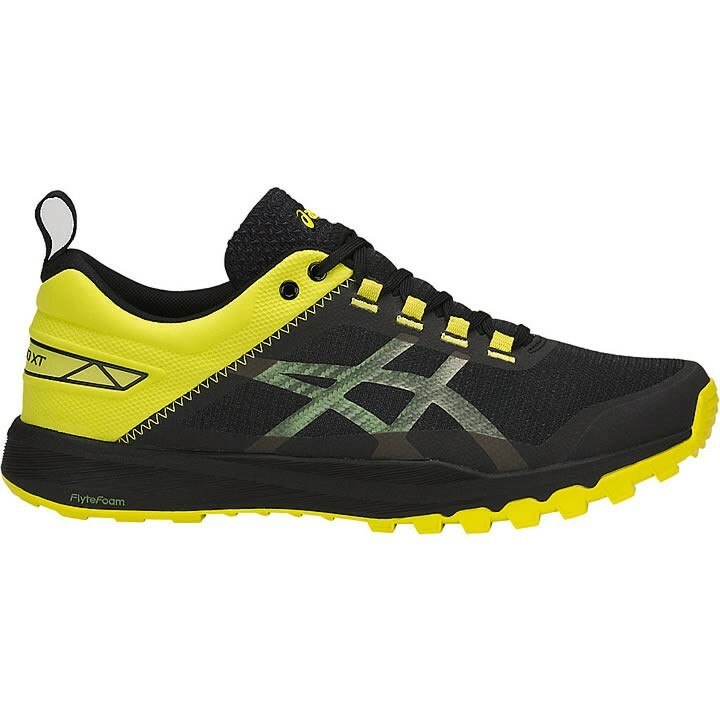 The men's ASICS Gecko XT features advanced protection and grip for even the toughest of trails. Built with an anti-gravel tongue, rock protection plate, concealed laces and trail-specific outsole, the Gecko XT takes on any terrain while supporting a lighter, responsive ride and more room in the toe box. Flytefoam® Midsole Technology: FlyteFoam technology provides exceptional bounce back and responsiveness no matter the distance, utilizing organic super fibers to help reduce packing out that traditionally happens with softer, low density foams. Anti Gravel Tongue: Gussetted tongue construction prevents debris from entering the shoe.